Since the first iPad, tablet computers have evolved into multiple form factors and sizes -- each one being targeted to a specific user. Compare tablet computers with our full list of the latest models and their specs. Currently, the best tablet computer 2019 is the Apple iPad Wi-Fi 2018, followed by the Apple iPad Pro 10-inch Wi-Fi. 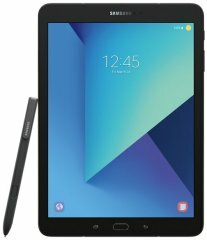 Here is the full top 10 list, followed by special categories and, finally, an extensive list of tablet computer brands and models. Based on this tablet computer's aggregated ranking of 96%, we are confident that the Apple iPad Wi-Fi 2018 is, as of now, Alphachooser's best tablet computer 2019. Furthermore, we think that our 414 reviews sampled from our sources give us a high confidence level (more on confidence levels) that justifies making it a "no-brainer best choice." 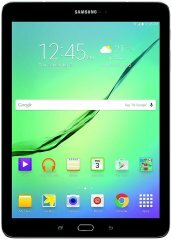 Based on star rating of 5 averaged over 506 reviews, here is second best tablet computer. * This list, by the way, is based on an in-depth computation of hundreds of tablet computer reviews from across the web. 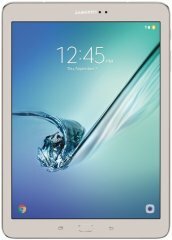 The Samsung Galaxy Tab S4 is the latest model by Samsung. The Lenovo Miix 630 is the newest tablet computer by Lenovo. The ASUS ZenPad 10 Z301M is the latest ASUS tablet computer. The Teclast P80 Pro is the newest Teclast one. The Dragon Touch X10 2017 is the newest model by Dragon Touch. All Dragon Touch tablet computers. The Kindle Paperwhite 4 is the newest Amazon tablet computer. The Huawei Mediapad M5 10 is the latest Huawei one. The Acer Iconia One 10 B3-A40-K0V1 is the newest Acer tablet computer. The HP Pro Tablet 10 is the newest HP tablet computer. The LG G Pad IV 8 FHD is the latest LG model. The Chuwi Hi9 is the newest tablet computer by Chuwi. 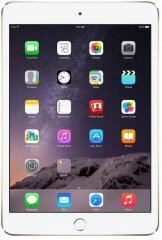 The Apple iPad Cellular 2017 is the newest tablet computer by Apple. The iRULU eXpro 3 is the newest iRULU tablet computer. 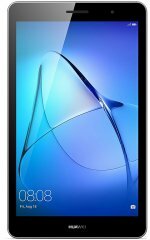 The Alcatel 1T 10 is the latest Alcatel tablet computer. The Polaroid A900X is the latest Polaroid tablet computer. The RCA Cambio 2018 is the latest RCA tablet computer. The Toshiba dynaPad is the latest model by Toshiba. The Archos Access 101 3G is the latest Archos tablet computer. The Kocaso MX780 is the latest tablet computer by Kocaso. The Nextbook Ares 10A is the newest Nextbook one. The NuVision Duo 11 is the latest NuVision model. The Wacom Cintiq Pro 16 is the newest Wacom model. The Digiland DL7006 is the newest tablet computer by Digiland. The Hipstreet W10 is the latest Hipstreet model. The Ematic EGQ223BL is the latest Ematic model. The AOSON S7 Pro is the latest model by Aoson. The LeapFrog Ultimate is the newest model by LeapFrog. The NeuTab K1 2017 is the newest model by NeuTab. The Proscan PLT9650G is the latest tablet computer by Proscan. The Nabi Elev-8 is the latest Nabi one. The Dell Latitude 12 7202 is the newest Dell model. The Visual Land Prestige Prime 10SE is the latest Visual Land model. All Visual Land tablet computers. The Onda V10 is the newest Onda tablet computer. The Tivax Lumina 7Q8L is the newest model by Tivax. The Azpen A949 is the latest model by Azpen. The Contixo A82 is the newest Contixo tablet computer. The Insignia Flex 10.1 2017 is the newest tablet computer by Insignia. The Coby Kyros MID1024 is the newest Coby tablet computer. The Fujitsu Stylistic V535 Industrial is the newest Fujitsu model. The Sony Digital Paper System is the latest Sony tablet computer. The Fusion5 108 FHD is the newest model by Fusion5. The BLU Touchbook M7 Pro is the newest BLU one. The Microsoft Surface Go is the latest Microsoft tablet computer. The Trio Stealth G5 10.1 is the latest model by Trio. The Simbans Valumax is the latest Simbans one. The KingPad V10 is the latest KingPad one. The Panasonic FZ-B2 is the newest Panasonic one. The Posh Mobile Equal Plus X700 is the newest Posh tablet computer. The NPOLE NT101 is the latest model by NPOLE. The Xiaomi Mi Pad 3 is the newest Xiaomi tablet computer. 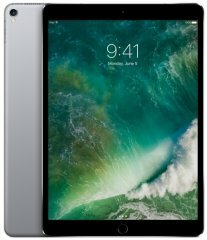 The iPad Pro Cellular 10-inch 2017 is the latest iPad tablet computer. The Google Pixel Slate is the newest model by Google. The Google Nexus 9 is the newest tablet computer by HTC. The Astro Queo Astro Tab A924 is the latest tablet computer by Astro Queo. All Astro Queo tablet computers. The Inspira Astro Tab A737 is the newest Inspira model. The SainSonic M755 is the newest model by SainSonic. 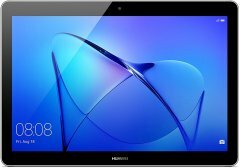 The Haehne M73 is the latest Haehne tablet computer. The Yuntab Y88 is the latest Yuntab one. The Plum Optimax 8.0 is the newest tablet computer by Plum. The Alldaymall A83T is the newest Alldaymall one. The Bestenme B-108 is the latest Bestenme model. The Chromo Inc T2 is the latest Chromo model. The Zeki 8-Inch TBDG874B is the newest Zeki model. The Digital2 8 Pad Platinum is the latest Digital2 tablet computer. The Nokia N1 is the newest Nokia model. The DeerBrook DB Plus is the latest model by DeerBrook. The E FUN Nextbook Flexx 11 is the newest tablet computer by E FUN. All E FUN tablet computers. The iDeaUSA CT1080 is the newest iDeaUSA tablet computer. The NVIDIA SHIELD K1 is the latest NVIDIA model. The Tagital 7-inch is the newest model by Tagital. The Pumpkin AP-A83T61 is the newest Pumpkin tablet computer. The Epik 7 Junior is the newest EPIK one. The AWOW SimpleBook is the newest AWOW one. 9-inch Android 4.0-powered tablet with up to 8 hours of battery life equipped with an integrated Flash player. 8-inch Android tablet with 4G phone functionality and XLTE support from Verizon, promising twice as fast internet connections than standard LTE. Upper-mid-range 8-inch tablet at the price of an entry-level device, running Windows 8.1 (64-bit) and driven by a quad-core Intel Atom processor. Business-focused 11.6-inch tablet with an included Pogo keyboard, running Android 5.0 and powered by a quad-core 1.8GHz Intel Atom processor. 7.85-inch tablet running an open-source Sailfish 2.0 platform with support for Android apps and backed by a quad-core Intel processor.